As the bathroom battle rages on across America over the North Carolina and Mississippi legislation, it becomes obvious that the war has been lost. The war I am referring to is the Cultural War. From gay marriage to transgender bathrooms to the removal of God from more and more places, the Cultural War has been lost, or maybe more accurately, not wholeheartedly and completely engaged by the Silent Majority, leading to a surrender. What leads me to this observation and what are the reasons for this "Lost War"? On January 20th, 1981, after 444 days in captivity, more than sixty American diplomats and citizens were released as President Ronald Reagan was taking the oath of office. The Iranian Hostage Crisis, and the failure of President Jimmy Carter to resolve the issue, became the turning point in the defeat of a weak president. 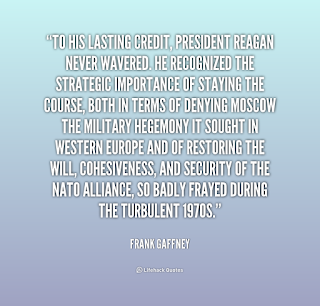 America had become increasingly weak militarily and economically throughout the Carter years, and the American people were tired of the malaise that had permeated the entire nation. Ronald Reagan eloquently ran on a campaign slogan of, "Let’s Make America Great Again", and created an upbeat spirit that resonated with American voters and led him to the White House. The fact that the hostages were released as Reagan took office, may be symbolic, or may have been the Iranians understanding there was a new sheriff in town. Either way, it was clear that the new President of the United States was not a weak man, and the world was on notice. There are only a few people and artists in our country's rich history who truly epitomize America and our American spirit. One such man passed away earlier this week, and his life and music are pure Americana. 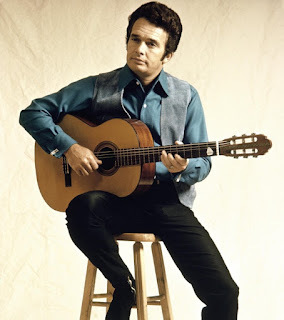 Merle Haggard was the common man's poet and his impact on a generation of singers and songwriters was immense. Over the last several years, I have really come to appreciate and admire his lyrics and music, as I have tried to sing his songs at karaoke. What made him legendary? 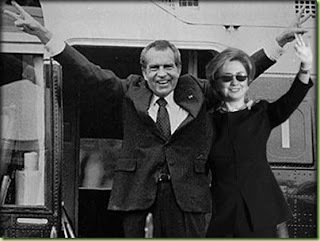 As President Richard Nixon took that final walk to Marine One on August 9th, 1974, he surely never imagined that forty plus years later, Hillary Clinton might indeed take that same walk as President of the United States and have committed far worse offenses than himself. This is a tale of two Americas. The America of 1973-74 and the America of 2012-16. Forty years separate these two Americas, but you could say, they are separated by light years. For one man, he left a presidency in disgrace and did what was best for the American people. For one woman, she is forever emboldened on her long mission to become the first woman President of the United States, despite a string of disgraceful actions. This is a tale that must be told and only history can properly put it in perspective.